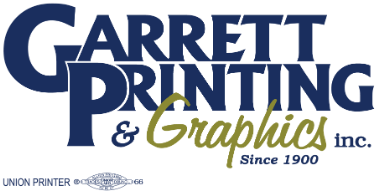 Here at Garrett Printing, we pride ourselves with providing our customers with a vast array of printing and promotional services. From basic 1 color printing to complex 4 color as well as promotional items such as pens, mugs, shirts, and hats, we cover all areas of what your business needs. Don't see what you want? Ask us and we'll let you know! We're experts at corporate identity pieces, but that's only the beginning. To learn more about the many products and services we offer, please contact one of our representatives. If you don't see something on this list that you're looking for, give us a call and we'll try to help you!